I needed a break from work in Yemen in early June and sought a destination that was close to the Middle East, served beer, had good weather, and was suitable for rest and relaxation. For whatever reason, Cyprus had not been on my travel radar as a potential destination but as soon as I began reading about the country I knew it was the perfect destination for my 1 week trip. I flew from Dubai to Larnaca on an early morning flight that arrived around 11 am. It was easy to find a shuttle bus from Larnaca airport to Nicosia at the Kapnos Airport Shuttle bus desk located in the arrivals hall. After paying eight euros for the ticket we were soon off to Nicosia and the bus from Larnaca airport only took 40 minutes to arrive at the Kapnos station in Nicosia. I had lots of time before meeting my Airbnb host at 6:30pm, so even though I had my backpack with me, I decided to walk the four kms from the Kapnos bus shuttle stop towards the old walled city and Nicosia’s Central bus station, which is conveniently located among many of the city’s attractions. 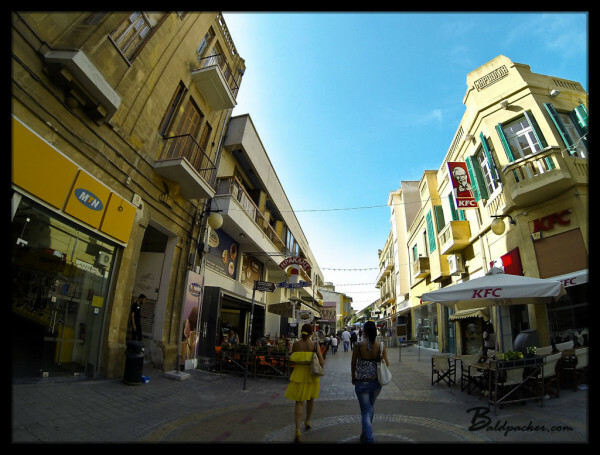 Nicosia is the largest city in Cyprus and is home to around 250,000 people, which is 1/3 of Cyprus’ total population. 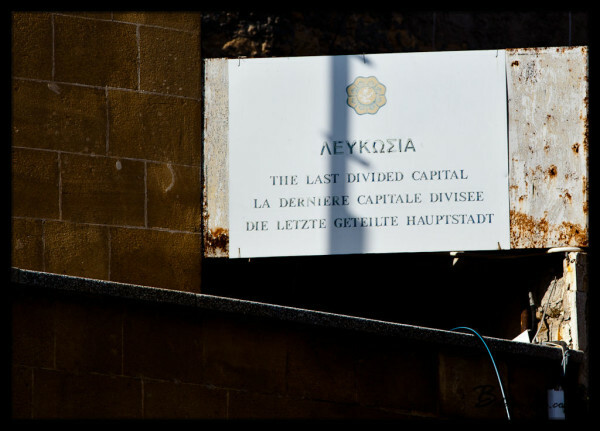 Nicosia is the world’s last divided capital and is separated by a UN Buffer Zone also known as “The Green Line” which cuts the city into two parts, with the northern half being the proclaimed capital of Northern Cyprus and the southern half being the capital of the Republic of Cyprus. The division dates back to 1960 when Britain granted Cyprus independence. Following independence and Turkish agitation in 1963, the city was split into Greek and Turkish quarters divided by the Green Line. In 1974, when the Greek Cypriotic majority clashed with the Turkish Cypriotic minority, a Turkish invasion ended with Turkey occupying 36.7% of Cyprus (the northern and eastern part of the island). In 1983, the Turkish controlled part of Cyprus declared itself the Turkish Republic of Northern Cyprus, but so far only Turkey recognizes the TRNC and the rest of the world, including the UN, recognizes the entire island as belonging to the Republic of Cyprus. Despite the division, the people of Nicosia seem to have accepted the occupation and the two halves of the city appear to be slowly moving towards increased cooperation with each other despite the wall between them. While wandering around central Nicosia I came across Paphos Gate, which was one of the three gates in Nicosia’s walls built by the Venetians. 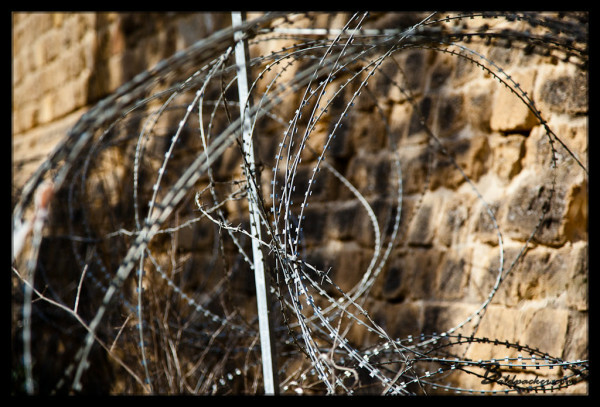 Paphos Gate is now on the UN buffer zone and fortified with razor wire and guard posts so unfortunately there was not a lot to see there. I was also not overly comfortable taking photographs with the UN patrols driving around the area. Nearby to Paphos Gate is the Cyprus museum, but since I had my luggage with me and was exhausted from my flight I decided to try and visit the museum the next day. Tired from my flight and long walk, I found a tranquil park nearby where I laid down for an afternoon nap. The weather in Nicosia was absolutely fantastic and the blue and sunny skies provided a comfortable 30 degree heat which was perfect for a park bench snooze. After catching up on some sleep in the park, I set out in search of Ledra Street, a popular street for shopping, eating, and drinking. 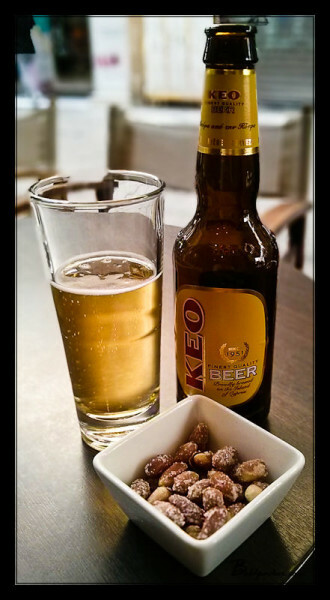 For me, Ledra Street was the ultimate place to people watch and I settled in at a café for a couple of local Keo beers. I am not generally a huge fan of light summer lagers, but the Keo was very refreshing and tasted pretty good for a widely distributed commercial beer. I also took advantage of the café’s free WiFi to plan where I would go for dinner and drinks that evening while passing time until I could meet my Airbnb host. When 6:30pm finally arrived, my host’s boyfriend picked me up and he drove me to the apartment I had rented for $30/night. My host was on holidays which meant I had the place to myself, including the extremely comfortable outdoor patio. Hungry after all of my walking, I set out to find Artisan’s Burgerbar (http://www.artisansburgerbar.com/) for, you guessed it, a big delicious hamburger. The menu had 14 signature beef burger options, plus an additional 7 ‘alternative’ burger options, and a daily special burger. After much debate, I decided on the No. 2: a soft brioche bun with crispy pancetta and gruyère cheese, oven roasted tomatoes, smoked BBQ sauce, spicy mayo and served with baby gherkins and fresh mixed greens. Yes, it was just as delicious as it sounds. For dessert, I made my way to Brewfellas beer bar which is just off Ledra Street and only 40 meters from the border crossing. Honestly, Brewfellas has to be my favourite beer bar in the world. 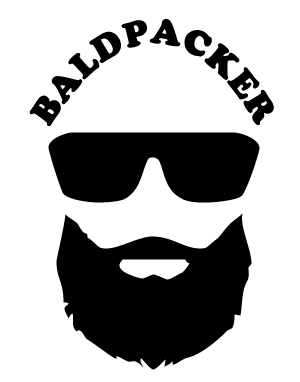 The owners / managers / bartenders are very welcoming and friendly and quite knowledgeable about the beers they serve. 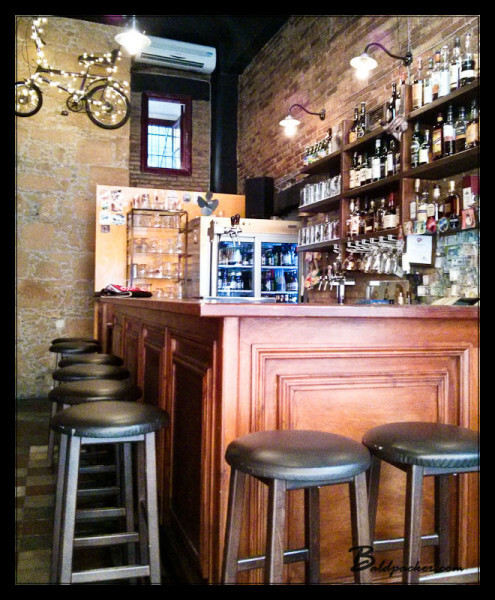 It is a relatively small bar, but is the perfect place to go on your own and meet fellow beer enthusiasts. The selection of beers is incredible and it is easy to find a delicious beer from US Microbrews as well as great Belgian and Trappist offerings. I sampled a couple of local beers first, including an Amber Ale and Belgian Wit. They were good beers, but certainly nothing amazing compared to the other craft beers I was able to sample that night. I worked my way through a couple of porters before being offered a home brewed Belgian Wit from another Brewfellas customer. The Brewfellas guys brought out taster glasses to try the hombrew (something that would never happen at a bar in Canada since it would be against regulation) and I must say, it was a great beer that had the flavor profile of a good Belgian beer but with an extra hop kick to it. The bartender also offered me a shot of homemade rakija which burned my throat just enough to prove its high proof potency and purity. To finish up the night, I shared a 24 Euro Bo & Luke from Against the Grain Brewery & Smokehouse in Louisville, KY with two other customers. Just to prove how great of a selection Brewfellas has, I have never even seen a bottle a Bo & Luke before in the US or Canada! After finishing the Bo & Luke (which was just as delicious as its reputation suggested), I was invited to another bar with a couple of the customers including a journalist who had traveled the world. After one more beer with them I decided my first day off had been long enough and it was time for bed so I made the long walk back to my Airbnb apartment along the brilliantly lit old walls of Nicosia. The next morning, after sleeping off my indulgences at Brewfellas the night before, I made my way back to Ledras street where I planned to cross the border to the Turkish side of Nicosia. 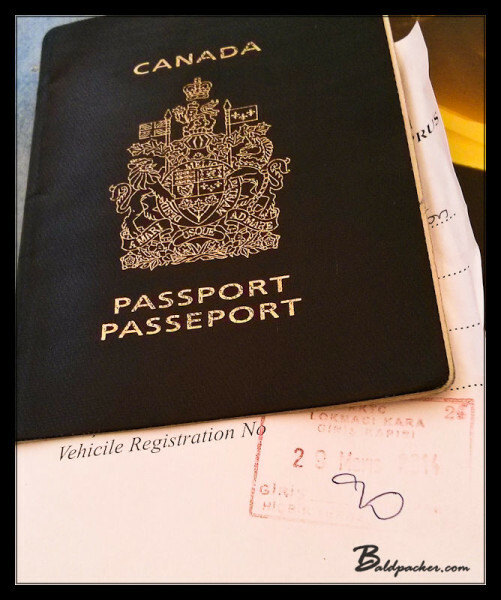 To cross the border, all I had to do was present my passport and fill out a short form which the Turkish border police then stamped. 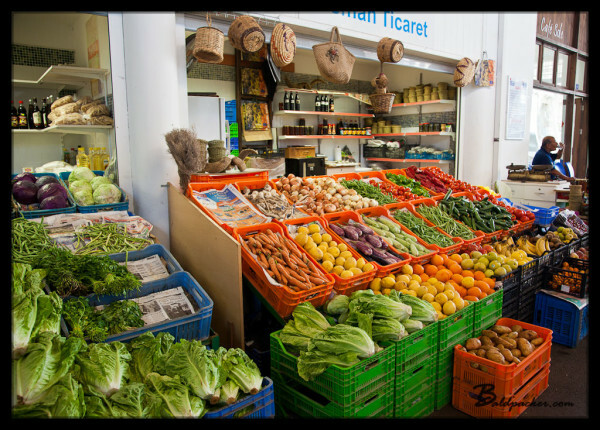 The difference between the Greek and Turkish sides of Nicosia was immediately obvious as there were suddenly numerous vendors selling knock-off clothing, sunglasses and luggage, which were not as readily available on the EU regulated Greek side. I also saw many old men drinking tea and playing backgammon, which was a familiar sight from when I had traveled Turkey. The first place I visited was the Great Inn (Buyuk Ha) which was constructed in 1572 and is now home to a restaurant and small craft market directed towards tourists. My next stop was the Selimiye Mosque, which had previously been St. Sophia’s Cathedral. The Cathedral was completed in 1228 before being converted to a mosque in 1570. The mosque / cathedral is very interesting to see just because the typical architectural features of both mosques and cathedrals are blended into one large impressive building that has survived the test of time, including numerous earthquakes. 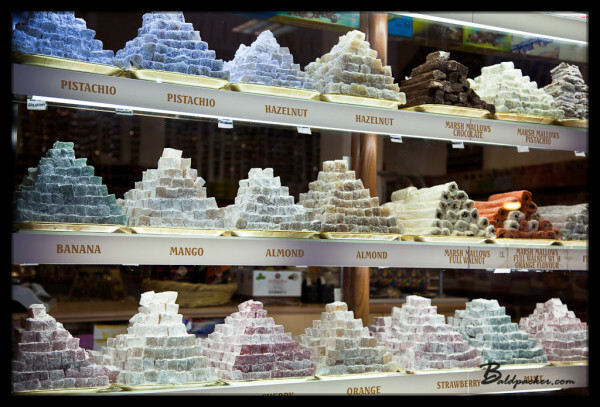 Walking around the Turkish markets filled with Turkish delights and fresh produce had definitely encouraged my hunger and although I did not want to spend money or support the Turkish occupied side of Cyprus, I decided that in the spirit of remembering my travels in Istanbul I would have a quick lunch. 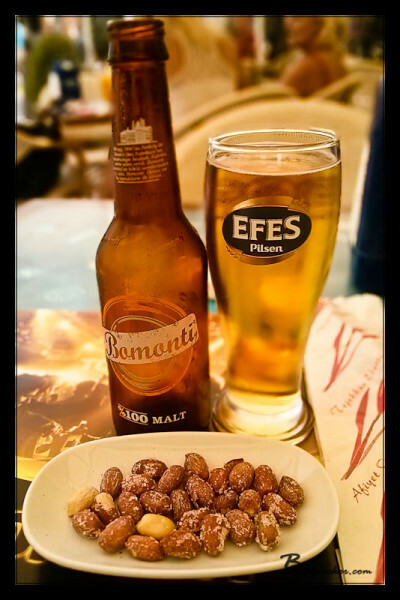 I found a restaurant good for people watching and enjoyed a chicken Caesar salad with fresh and delicious local produce watered down with a cold Bomonti beer – the perfect throwback to my time in Istanbul. I only spent a couple of hours in the Turkish side of Nicosia but decided that was enough for me. There are apparently great beaches in northern Cyprus that I would like to see in the future, but given the history of Cyprus I have a difficult time supporting the Turkish occupation of the country right now. Interestingly, when I returned to southern Cyprus there was no border crossing (just a police checkpoint); I assume this is because from the Republic of Cyprus’ perspective, I had never left their country to begin with! I had noticed that Greeks and Turks much prefer an iced coffee or Frappe in the afternoons over cold beers, so my first stop after crossing back to the southern side of Nicosia was for a Frappe on Ledras street. After cooling down and getting a little caffeine boost, I walked to the Ledra Observatory Museum in the Shakolas Building off Ledra street. It is easy to spot the building as it is the tallest in the old city, but the entrance to the observatory is tucked around the corner from Ledras street. After taking the elevator to the 11th floor and paying my two Euro admission, I was treated to wonderful views across Nicosia. The observatory featured interactive screens to point out the various sites on the northern side of the city including many of the monuments I had just finished visiting. The observatory also offered me my first glimpse of the red and white Turkish flags the Turkish Cypriots had built on the hills outside the city, marking their claim to the area. My plan after the Ledra Observatory had been to visit the Leventis Museum, but unfortunately it closed at 4:30pm and I was too late. Knowing that Brewfellas opened back up at 6pm, I decided to go to the Central Bus Station and plan my journey to Paphos before re-commencing my beer sampling where I had left off the previous night. I tried a number of great IPAs before finishing my evening with a thick and delicious stout. 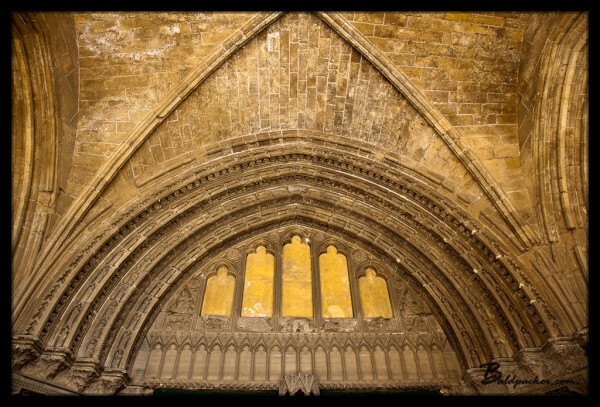 I walked back to my Airbnb apartment along Nicosia’s beautifully lit walls and packed for my next day’s journey to Paphos, thoroughly satisfied with what I had been able to experience in Nicosia in two days. 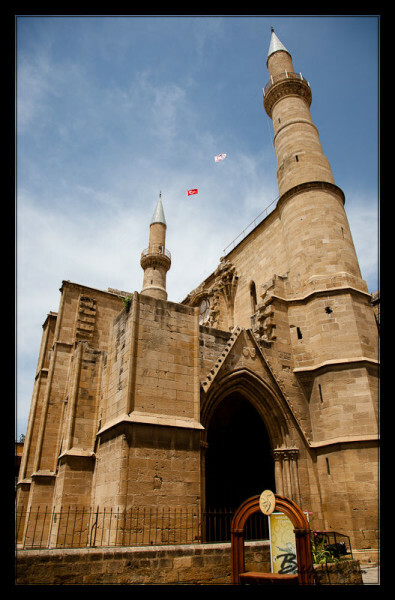 Nicosia was a very enjoyable place to visit for me and I would certainly go there again. 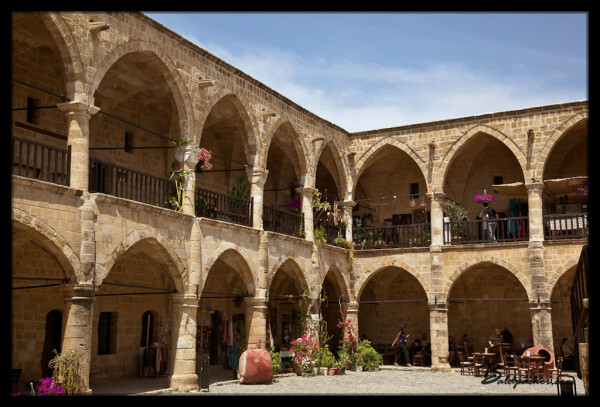 I wish I had the opportunity to visit the Cyprus and Leventis Municipal Museums, but I thoroughly enjoyed just wandering both the southern and northern sides of the border and taking my time to sit, drink coffees, and watch Cypriotic life go by. The highlight for me was certainly Brewfellas and I would be thrilled if I could return to Nicosia one day just to share a pint with my new beer enthusiast friends. I am planning a trip in first week of December 2016 for 3 nights with my wife for relaxed vacation. I want to know about the beaches ?? Is Larnaca good place to have our accommodation for 3 nights. Which place do u suggest us to visit in 3 days time ? Is local transportation easily available ? I wouldn’t recommend Larnaca for your time in Cyprus. If you want to stay close to the airport, Ayia Napa is a popular destination, but I haven’t visited so can’t comment further. I’ve heard it has more of a party vibe so it may not appeal to you for a relaxed vacation. Public transportation is available but it may not be very direct or easy depending on your destination. I spent my time on Cyprus in Nicosia and Paphos. I really enjoyed Nicosia but as a large city it’s probably not a great place for a 3 day holiday. Paphos was nice but you’ll likely want a car to see the ruins and nicer beaches nearby. The best rated beaches are Coral Bay, Fig Tree Bay, Nissi Beach, Karpas Peninsula, Governor’s Beach, Konnos Bay, Makronissos Beach, Lady’s Mile Beach, Kourion Beach, Finikoudes Beach, Latchi Beach, Golden Beach, Kapparris Beach, Ayia Thekla Beach, Landa Beach, McKenzie Beach, Silver Beach, and the Paphos Municipal Beach. I’ve only visited the Paphos Municipal Beach and didn’t find it very exciting but I’m more into culture and exploring than laying on the beach so it’s probably best for you to do your own research. I wish to plan my honeymoon in cyprus spread across 5-7 nights in february 2017. Please advise me if the weather is good to go. Also, share the itinerary for the same. Congratulations on your marriage Ankit. 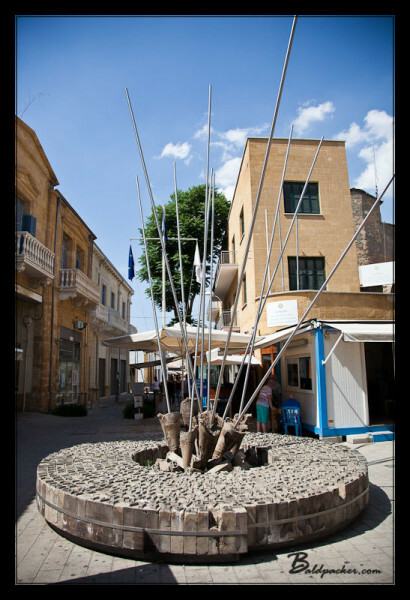 You can read about my experience in Nicosia and Paphos here but I sadly can’t predict the weather or suggest an itinerary for you. For long-term weather forecasts I like to look at Accuweather.com and scroll through the monthly tabs. 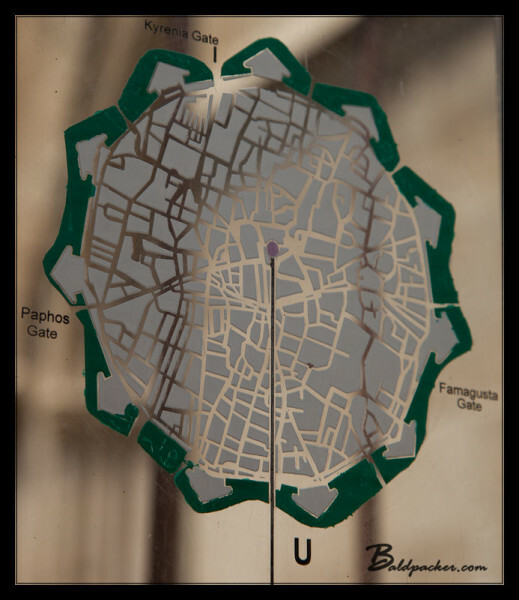 How long did the walk from the bus station the old city take you? I’m arriving late and don’t know the options to get from the station to the old city. I seem to recall the walk taking over an hour but as I had my backpack and was wearing flip flops under the hot mid-day sun I wasn’t walking my fastest. I’d suggest using Google Maps to see what it says.